‘Charkha Project’ was introduced by Dr. Aniruddha D. Joshi under the ’13 Points Programme’ which was aimed to provide clothing to the needy. The clothes thus produced from this devotional service are distributed for free to the laborious, weaker sections that cannot afford to buy such garments. 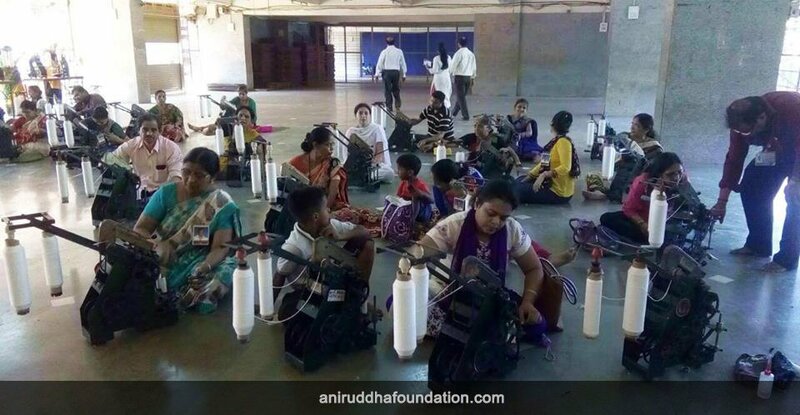 ‘Shree Aniruddha Upasana Foundation’ had organized a mega Charkha Camp from April 23, 2018 to April 29, 2018 at Bandra, Mumbai wherein 1178 volunteers participated in it and total number of hanks collected were 2028.